You can find the Challenge Mode set previews on our Challenge Mode Gear page, found in the menu in the navbar. 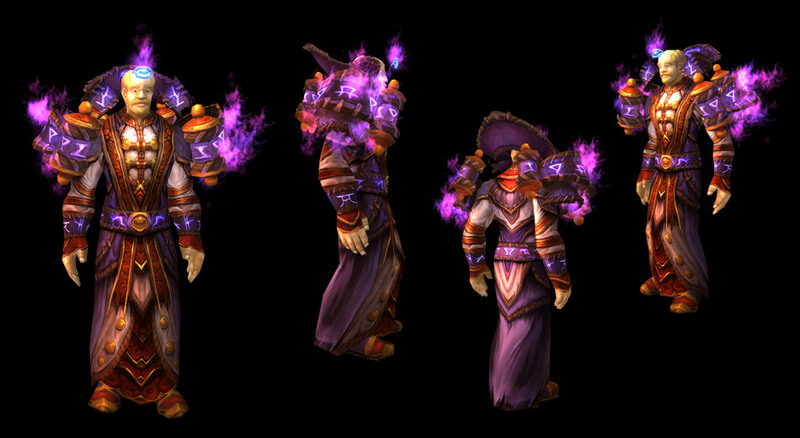 Each class has a proc for their set, so keep checking back to see your class's set! The developers are doing interviews as we get closers to launch, so here is a recap from a few more. 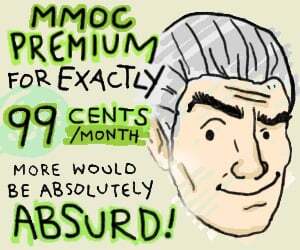 Thanks to OMFGCata, Convert to Raid, and WoWInsider. Keep checking back for more interview summaries, along with our own interview with Cory Stockton! 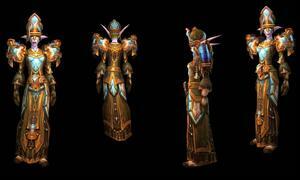 The lessons learned from the Theramore feedback will be applied to the scenarios made in the future. A balance between showing the story and letting people skip it is seen with the event at the end of Dragon Soul that can be skipped if you don't want to watch it. Patch 4.0 had several 10 man bosses that were not tuned well compared to the 25 man versions, either much harder or much easier. 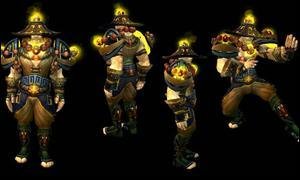 Tuning got better over the expansion and lessons learned will be applied in Mists of Pandaria. 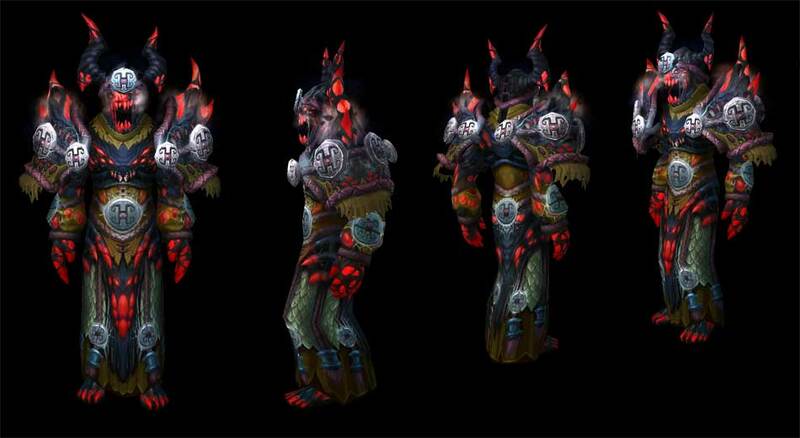 Raiders liked the Patch 4.0 dungeons, but LFD users found them frustrating. Most people who are doing the heroic dungeons are now using the LFD tool, making it necessary to make the dungeons easier. This leaves Challenge Modes for players that want content that is harder. Challenge modes won't be coming to raids immediately, but the leaderboard aspect might be something to consider adding. There might not be a large enough group of players that are interested in timed raid runs that don't reward player power increases, but it would give guilds that have content cleared something to compete against other guilds with. LFR justifies the creation of more raid content when millions of players are able to see content. Only a few thousand people actually saw Kel'thuzad, but millions saw Deathwing. 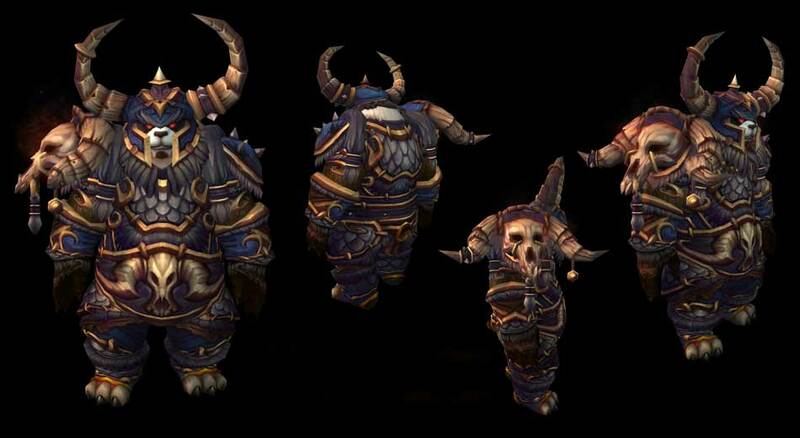 The reason Mists of Pandaria is starting with 18 bosses and adding larger raid tiers than we have had previously is because many players are going to see the raids through LFR. Beta was very successful, even without level 90 premades. Thousands of people participated in raid testing and provided feedback. 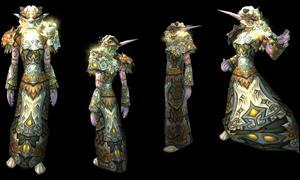 The first raid will open one week after Mists of Pandaria launches, and the next two will open four weeks after that. 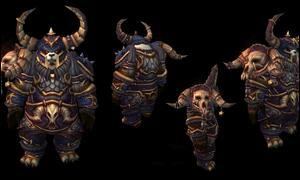 The Alliance and Horde both want Pandaria and the Pandaren on their side. The Jade Forest revamp was the result of feedback from a Strike Team. 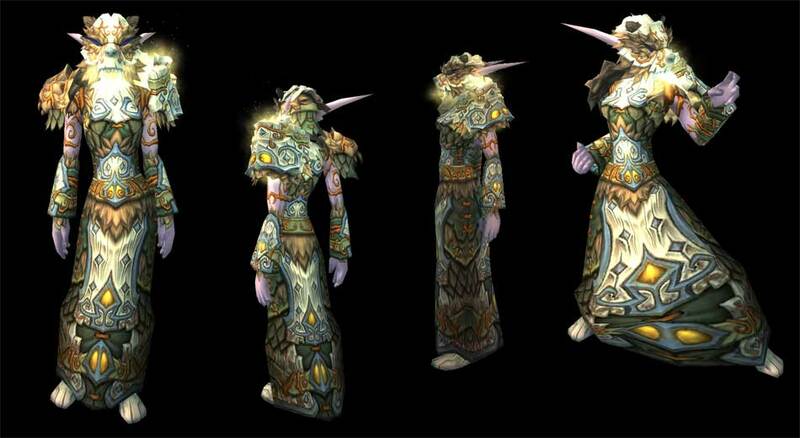 It wasn't clear why you were in Pandaria and what was going on, so the experience was revamped to make it much clearer. The smaller phasing you see in the world while progressing through the story does not actually put you in another phase, it just changes what you see. World Bosses are back because the loot, spawn time, camping, graveyard zerging issues are now able to be solved by new tech. 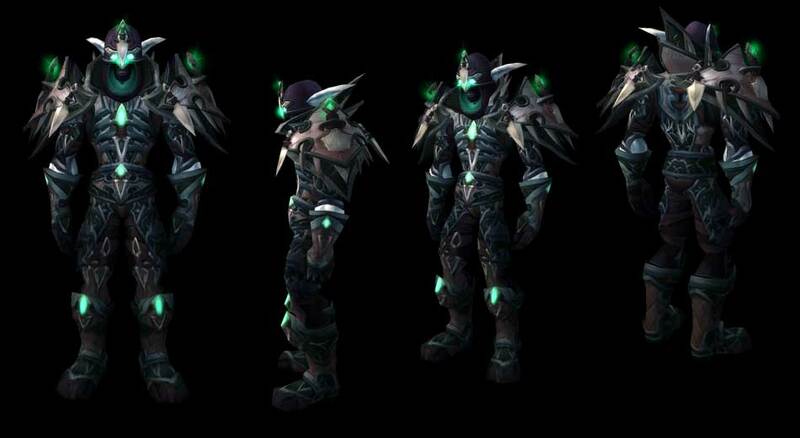 More bosses per tier is the goal, as longer raids make for more LFR segments. There are a large number of players that enjoy crafting or aren't able to do raids, which is why the profession recipes like engineering goggles are still relevant even past the first content patch. The gear is still fun to make and useful for those players. 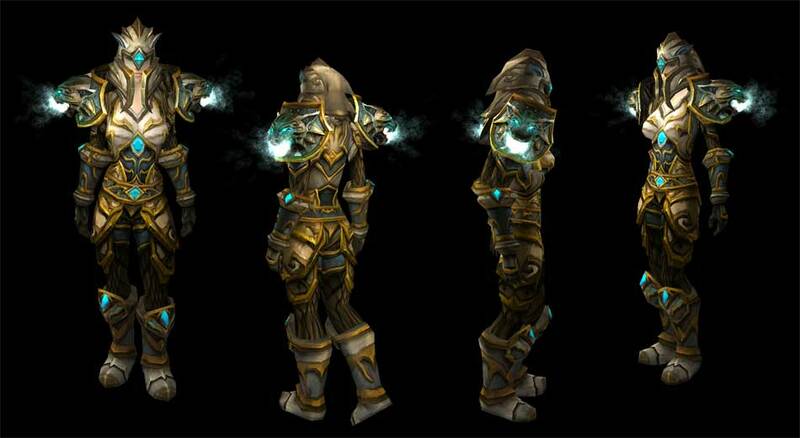 It is unlikely that we will see crafted gear that remains upgraded and relevant throughout the entire expansion. Blood Spirit is found from Disenchanting raid weapons and then used for crafting epic gear. 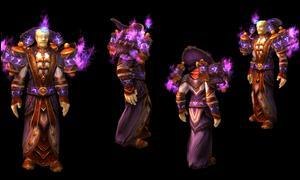 It is there to offer an alternative to just Disenchanting some loot and getting materials for an enchant. The legendary gems are the start of a story that will last through the entire expansion. Every patch there will be a way to keep that legendary going and do more with it so that it is useful for a long time. It also takes care of the problem of previous legendary items lasting a year and being class restricted. Theramore freed Jaina from being a peacekeeper and shows an important event in the war between the Horde and Alliance. Every new faction is a story to experience rather than a reputation bar to fill. Doing the daily quests unlocks this story. There is a little bit of Titan vs. Old God lore in Mists, but it is way way way under the surface. 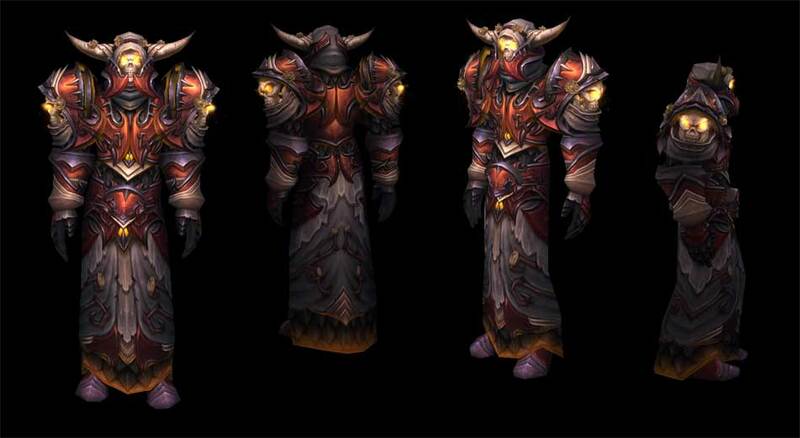 Wrathion has the best interests of Azeroth in mind, but his interests may not necessarily line up with our interests. It isn't likely that the Lorewalkers will be expanded upon beyond some things to collect in new areas in other patches. This all depends on player engagement and feedback though! There are lots of books sitting around in Pandaria, just waiting to be read. In the coming months, we're planning an update to Battle.net that will give you more control over your online presence when playing Blizzard games. Soon, World of Warcraft, StarCraft II, and Diablo III players will be able to select "Appear Offline" as one of their Battle.net social-status options (along with Available, Busy, and Away) for those times when they want to wander Azeroth by their lonesome, dominate the galaxy in radio silence, or slay demons in solitude. When you choose this option as your status, all of your Real ID friends, BattleTag friends, and character-level friends will see you as “Offline” in their friends list whenever you’re logged into a game. 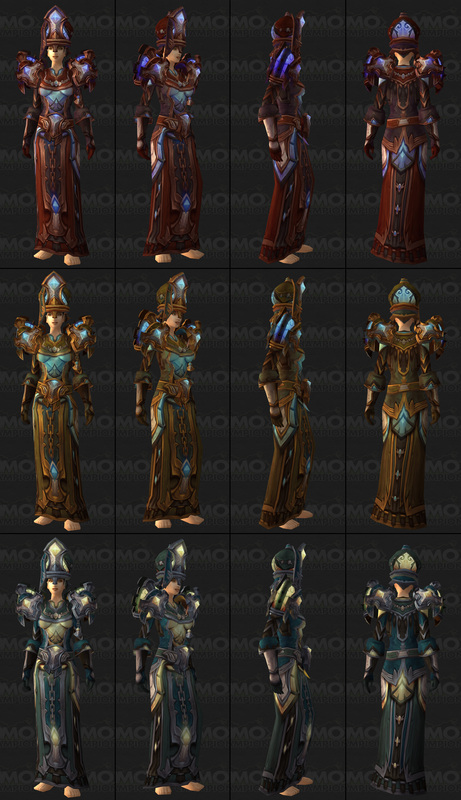 The Tier 14 set for priests has been swapped around from our original preview. 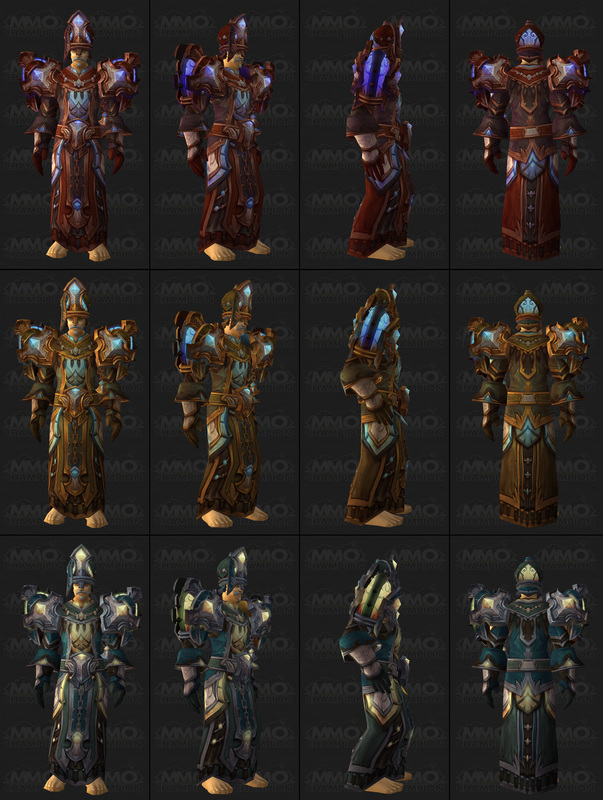 You can find all of the other sets on the Tier 14 sets page. 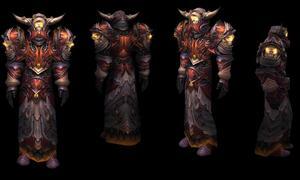 If you want to see higher res previews of all the color variations, along with videos, check out our Tier 14 sets page. 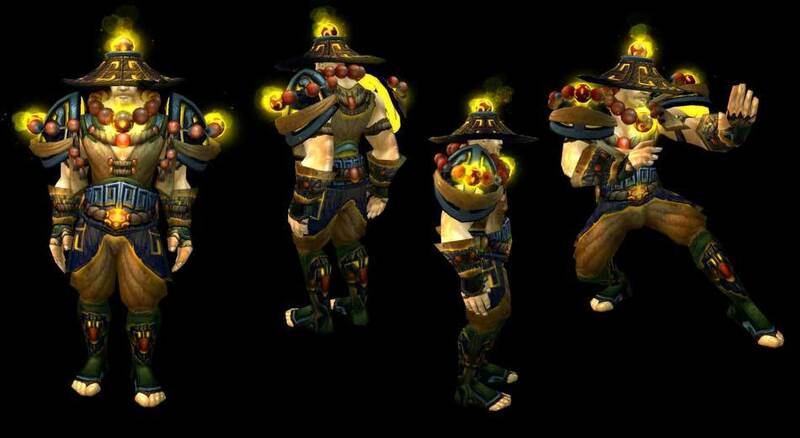 Checking in at item level 496, the first tier of raiding gear players will find in Pandaria is set to wrap you up in an all-new look. Sorry, but I have to respond with this — On a non-moving target that is always in line-of-sight and does not put any pressure back onto you meaning you can go 100% offensive. It is also a good idea to keep in mind that level 85 balance is not indicative of what the balance will be at level 90. Is there a different set of abilities im supposed to use to cause damage to players that i can't see when im on target dummies? I feel that you may have misinterpreted my post. While it is possible to cast the spells mentioned while moving, you cannot guarantee a real target will always be in line of sight to maintain the highest possible damage output. When attacking a target dummy, you will also not have to be thinking about protecting yourself, crowd control or silences. This means you do not need to utilize defensive cooldowns or maneuver strategically. As has been said before, rewarding players for not actively participating in arena is something that we don't like. Players in season 11 were sitting on their rating due to its length and because they were waiting on Mists, but also while they would like to play arena more they feel there is too high a risk of losing the rating that they achieved. This is definitely a part of the system we feel can be improved upon. Q: The story of Tides of War is really interesting. I don't think players can get engaged if they have no idea what's happening, the bomb dropping is really anticlimactic. I felt a bit disappointed so little got included in the scenario. Was this because of lack of time, of developers or because you rather keep all that info in the novels. A: I've been watching the Theramore feedback closely, and this comment seems pretty universal. We tried to keep everything all in the scenario, to make it really self-contained, but not burden it with lots of story that you have to slog through every time you played the scenario. It's pretty clear from the feedback that people wanted more story. We should've surrounded the scenarios with more quests or explanations to help round out the story for the people who wanted to know what exactly was happening. Lesson learned! As you can probably get from this, we acknowledge that we didn't put in the level of context that people expected, and this is an important lesson we will keep in mind when working on future scenarios. 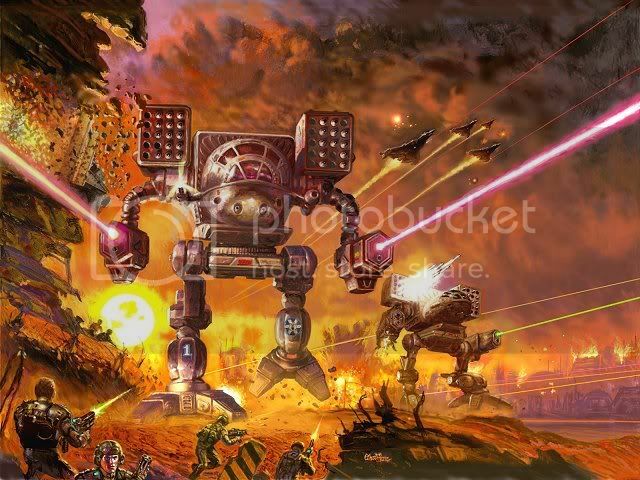 We want scenarios to be repayable, so we are concerned about burdening players with too much story that feels mandatory to wade through, but we can of course see from all the feedback we got from you guys that is also an issue if there is not enough story. 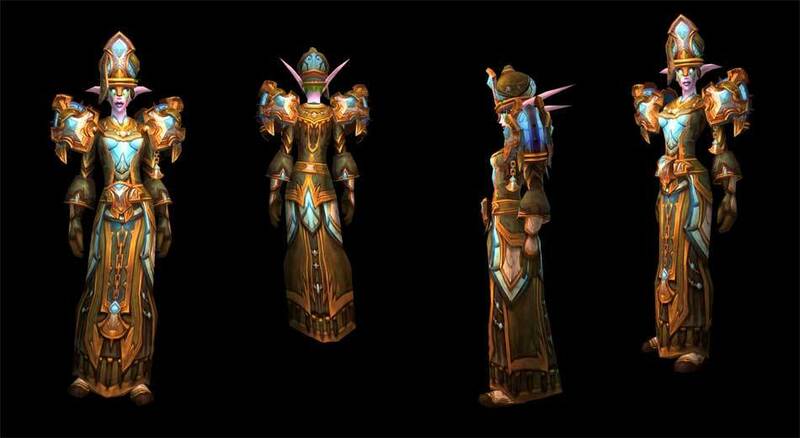 We realise that Theramore could have benefited from one or more one-time quests on either end of the scenario, perhaps it could even have been a part of a one-time quest chain. May I throw a quote to you? "As with many things, if we can't do something right, we end up not doing it"
First of all, we never said that we never make mistakes. We are only human after all, and to err is human! Second of all, what is right is entirely in the eye of the beholder. 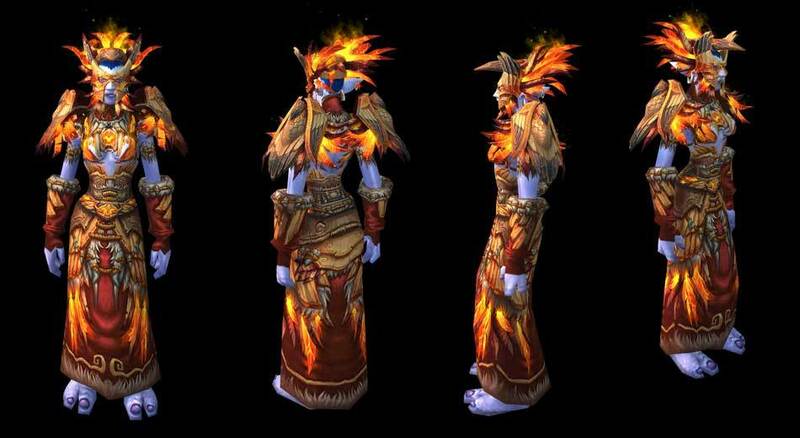 We do not think that Shaman and Paladins becoming cross faction classes was a mistake, but this of course is an entirely different topic, so let's keep that discussion out of this thread, shall we?! We just released the first part of Quest for Pandaria, a four-part novella set between World of Warcraft: Cataclysm and Mists of Pandaria. Reunited with her beloved uncle Chen and safely back home on the Wandering Isle, Li Li Stormstout finds it difficult to adjust to life on Shen-zin Su. After all the adventures and excitement of her journey to find her uncle (which you can read about in Pearl of Pandaria, a graphic novel that’s now available here and wherever fine books are sold), Li Li yearns to see more of this amazing world just waiting to be discovered. But after everything that happened, and with all the grief she caused her family, running away again is something that Li Li just can’t do. Lost, sad, and dejected, Li Li is certain that she’ll never get to explore more of this magical world... until one day, the unexpected return of a pandaren most thought dead and the mysterious artifact he bears give Li Li a moment of hope — one moment that makes everything else possible. Read part one of Quest for Pandaria now! The balance changes are nice. Might bring it back in line with Feral. An 'appear offline' option eh... much needed in my opinion. 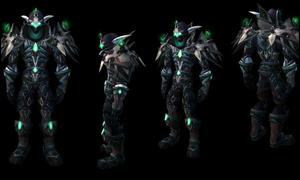 Tier sets look meh to me. 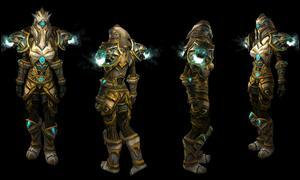 Hooray for transmog. Argh another "pope" set for the priest. Here I was hoping we'd get something Asian themed like most of the other classes. Another pope set? The latest ones where hardly pope sets. The content of the Cory Stockton interview and the Ion Hazzikostas interview is swapped. Yes I just listened to Jesse's interview and it's swapped! Interesting, it seems that LFR has become the driving force behind raid creation. Great, they ruined Arms and now they're nerfing it. Meh, looks like I'll stick to tanking this xpack. Awesome rogue gear proc!! 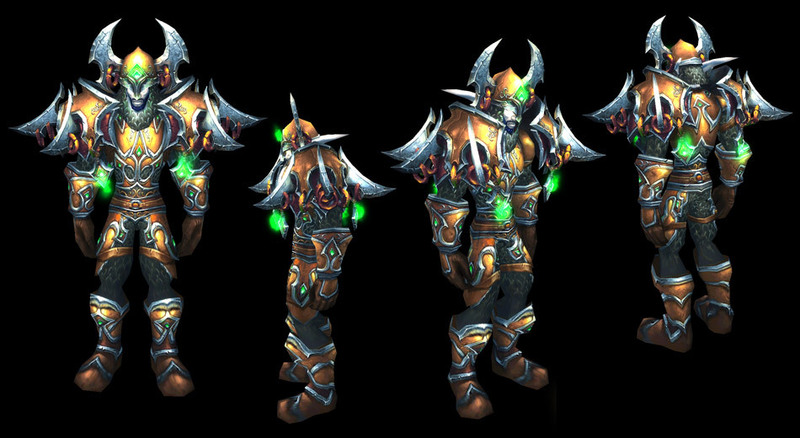 I think shoulders should be bigger Blizzard. Question about the Gurth hotfix... What was bugged about it? I've been playing a Fury Warrior with Heroic Gurth in the MH for the last 3 weeks and I haven't noticed anything off about it. So I guess /roar is going to be macro'd into a lot of moves once people get challenge mode gear. I'm sue that won't become incredibly annoying. It was mainly for DKs, I believe... blood boil, and the DoT tics from Death and Decay and unholy blight could ALL trigger a gurth tentacle to spawn for each and every enemy they hit. So in essence, a DK runs into onyxia's lair, pulls a mess of dragon whelps, hits blood boil twice and boom... you have about two dozen gurth tentacles flinging spells around. Also regarding story in scenarios - do all scripted story have to be intrusive? For example, what if during the initial harbour sweep, you'd have things continously running while you fight the lesser enemies - they are easy enough to not distract you overmuch, and repeated visits surely would have you see the things going on in the background. So instead of making segments, weave them together. 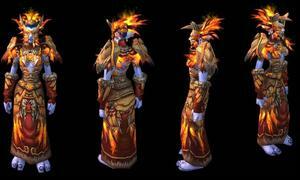 Insta-transmog if i played shaman and got those.